Tambudzai dreams of education, but her hopes only,materialise after her brother's death, when she,goes to live with her uncle. at his mission,school, her critical faculties develop rapidly,bringing her face to face with a new set of,conflicts involving her uncle, his education and,his family. 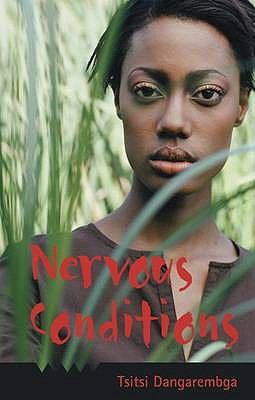 Tsitsi Dangarembga's quietly,devastating first novel offers a portrait of,Zimbabwe, where enlightenment brings its own,profound dilemmas.Dangarembga, Tsitsi is the author of 'Nervous Conditions - Tsitsi Dangarembga - Hardcover', published 2004 under ISBN 9780954702335 and ISBN 0954702336. Loading marketplace prices 171 copies from $0.51 How does the rental process work?